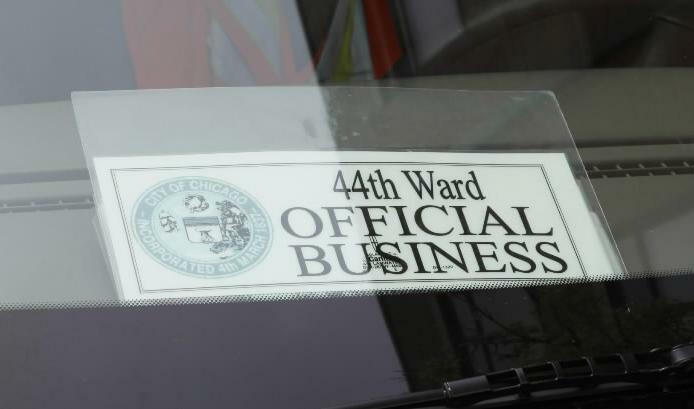 In an article that ran in both the Chicago Tribune and Redeye today, I read about Zodak Yonan, a City Council contract employee, who took it upon himself to create a “44th Ward Official Business” placard for his windshield, exempting him from parking violations and fees. You are not, nor will you ever be, so busy that you “forget” to put the money in the meter. There are plenty of people who are busier and more in need of a parking waiver than you. You’re a big butthead! What on earth were you thinking?! What makes the situation even better is Ald. Thomas Tunney, is one of the 40 aldermen who voted to lease the city’s meter system to a private company for $1.2 billion, resulting in raised parking rates. However, to be fair to Mr. Tunney, he said, “We don’t have any official 44th Ward business signs. I don’t even have one. Anybody should be ticketed for a meter violation.” So I guess Yonan just thinks he’s special.